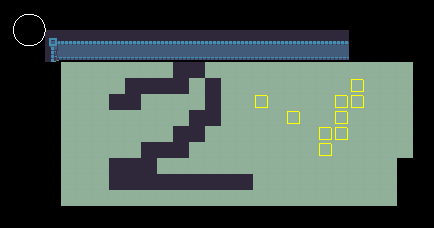 So far we’ve looked at how to create tile maps and have them display in game. 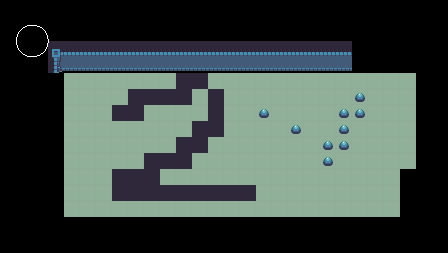 We’ve also used these tile maps to create collision. 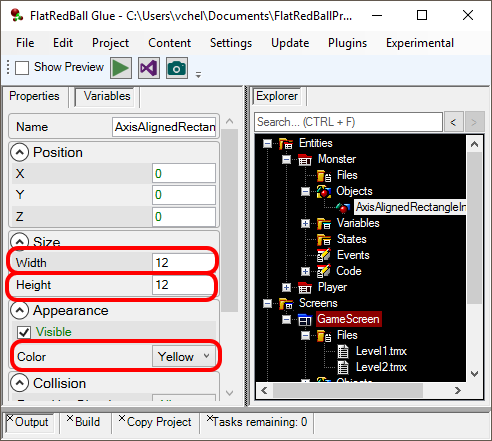 This guide shows how to instantiate entities by placing tiles in a tile map (no code required). 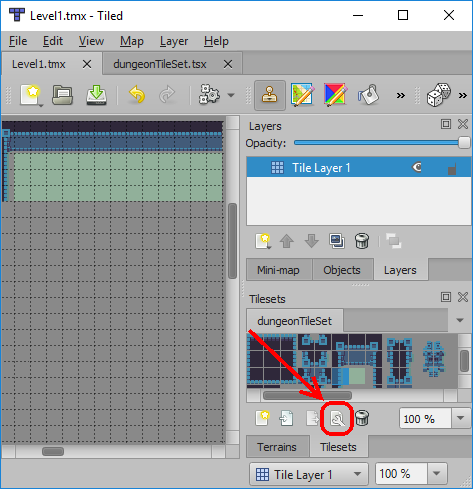 Typically entities which are created by tile maps (such as monsters, coins, or traps) need to be stored in a list for custom logic (such as AI and collision). To support this, we will create a list of Monsters in our GameScreen. 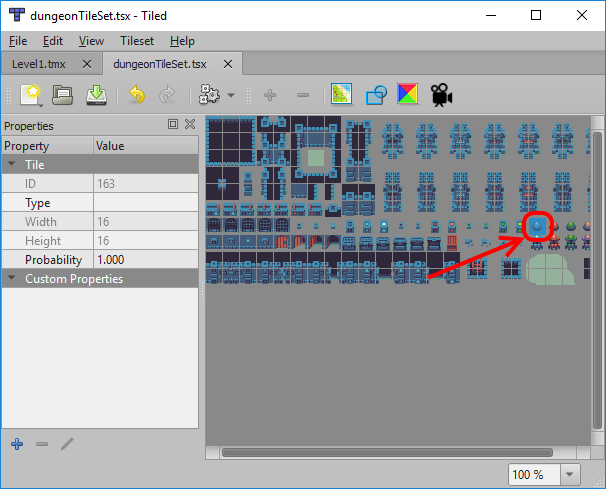 We’ll set the Monster’s CreatedByOtherEntities property to true so the generated code creates a factory object for creating new monsters. 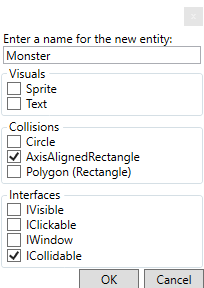 In other words, setting this to true allows the tile map to add new Monster instances to the GameScreen’s MonsterList. For more information, see the CreatedByOtherEntities page. Our Monster entity is ready to be used. Now we just need to update our tile maps. 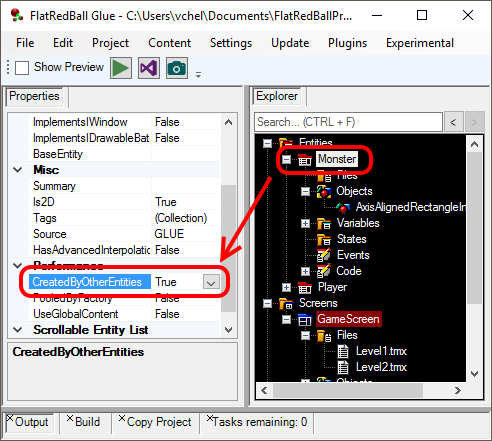 The documentation linked above shows how to import an XML file created by Glue so that variables defined on Monster (or any other entity) automatically appear in Tiled. For simplicity we’ll skip this step, but you may want to perform that additional step for larger projects. 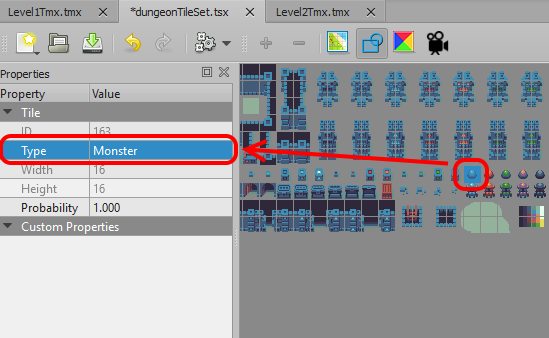 Any tiles placed with the Type of Monster will create Monster instances at runtime. 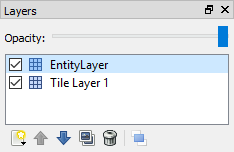 Furthermore, these tiles will be removed from the tilemap altogether when the entity is created. 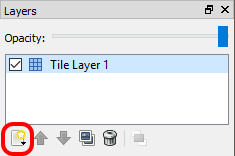 With the EntityLayer selected, we can paint some monster tiles on our map. As always, don’t forget to save your changes. Of course, this isn’t exactly what we want – we want the slime tiles to be replaced by instances of our Monster entity. In other words, we should see yellow rectangles, not blue slimes. Note that CreateEntitiesFrom needs to be called in every level or tiles won’t be replaced with entities. Verify that you entered the right name (including capitalization) in the Type property.